Existing asbestos cement roof required replacement, the side cladding was unsightly and built up felt roofs where leaking. 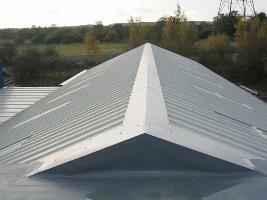 The existing asbestos cement roof and cladding were stripped and replaced with Kingspan KS1000RW to the roof and walls. 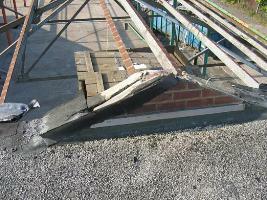 The built up felt roofs were dechipped and overlayed with a Flagon PVC single ply membrane system.